Winner: 2012 The American Publishers Award for Professional and Scholarly Excellence in Theology and Religious Studies, PROSE Award. 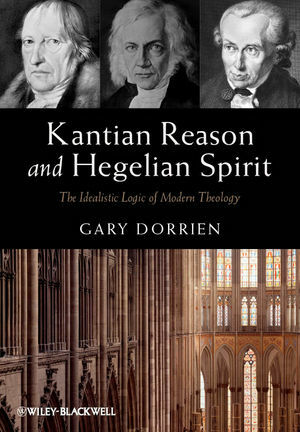 In this thought-provoking new work, the world renowned theologian Gary Dorrien reveals how Kantian and post-Kantian idealism were instrumental in the foundation and development of modern Christian theology. Gary Dorrien is the Reinhold Niebuhr Professor of Social Ethics at Union Theological Seminary and Professor of Religion at Columbia University. He is the author of more than a dozen books, including the highly-acclaimed trilogy The Making of Liberal Theology (2001, 2003, 2006), and Social Ethics in the Making: Interpreting an American Tradition (Wiley-Blackwell, 2008, 2010).